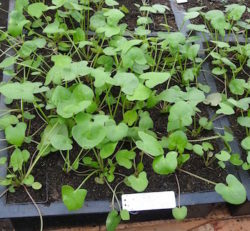 Annual, producing flowers in 6 to 8 weeks from seeding. (Corn Flower, Common Cornflower, Basketflower, Bachelors Button, Bluebottle, Boutonniere Flower, Hurtsickle, Cyani Flower) Native to Europe. 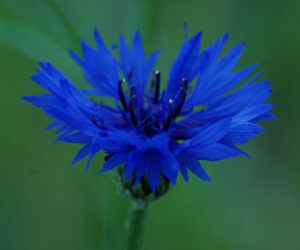 The deep blue of cornflowers is a welcome sight in cultivated fields, where it brings a touch of fairy madness. The harmless, edible petals retain their vivid hue upon drying, and are commonly used to enhance the color of tea blends. 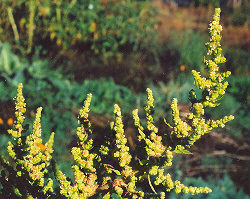 Plants prefer full sun to part shade and regular garden soil. 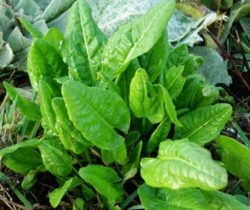 Sow seed in the spring, in pots or directly in the garden. Transplant or thin to 1 foot apart. 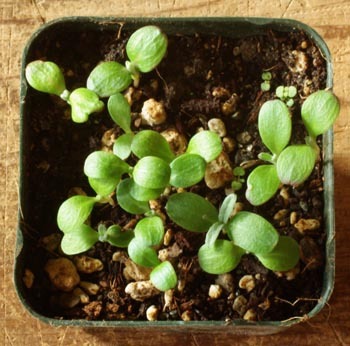 Easy to germinate and grow. A delight to have in the garden.